Fully understanding and conscious of our basic human rights as Papuans of the negroid race, part of the Melanesian race who live in the land of the country of West Papua, inheritors from our ancestors, we herewith firmly declare that WE FIRMLY REJECT THE TREASON TRIAL AND OTHER SUCH TRIALS that has been mounted against the five of us, and we speak on behalf our colleagues and the entire nation of the Papuan people of the Nation of West Papua. c. Article 1, para 1 of the Covenant on Civil and Political Rights adopted as UN Resolution 2200 (xxi) which has been in force since 23 March 1976,.
e. The basic principles of decolonisation , namely possidetis juris and the legal succession of the state to the colonial territories of the Dutch East Indies (Dutch Papua) since 19 October 1961.
j. 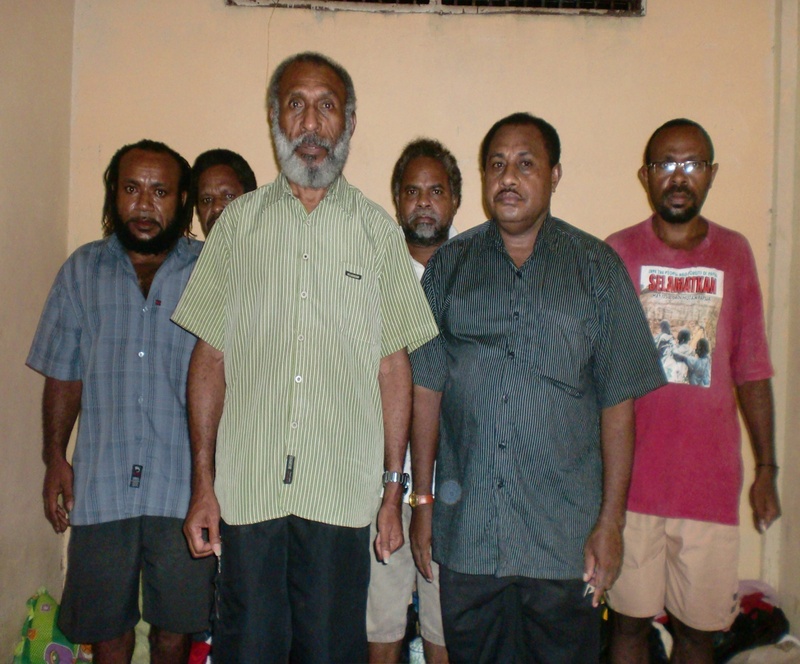 The Eleven Recommendations of the Second Papuan Peoples’ Congress and Indigenous Papuan People in 2010.
k. The decisions of the Second Papuan Peoples Congress in 2000.
l. The decisions of the Third Papuan Peoples Congress of 2011. 9. We democratically restored the independence and sovereignty of the Papuan people on 19 October 2011, at the Third Papuan Peoples Congress with the establishment of the Federal Republic of West Papua which was announced by the DECLARATION OF THE PAPUAN NATION IN THE STATE OF WEST PAPUA. 10. The government of the Republic of Indonesia and the governments of all other members of the United Nations, should without discrimination recognise and respect the democratic processes of the Papuan people at the Third Papuan Peoples Congress on 19 October 2011 in the form of the Declaration of the West Papuan Nation and State. In order to regulate the transfer of sovereign powers from the Unitary State of the Republic of Indonesia to the Federal Republic of West Papua, we intend to initiate a new phase of cooperation based on the principles of democracy, justice, peace, mutual respect and dignity. As is customary between independent and sovereign nations and states on Planet Earth.